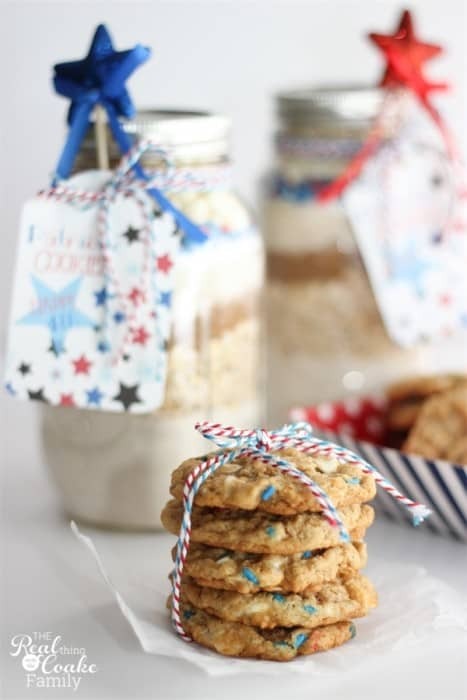 DIY patriotic mason jar recipes for your 4th of July backyard party. 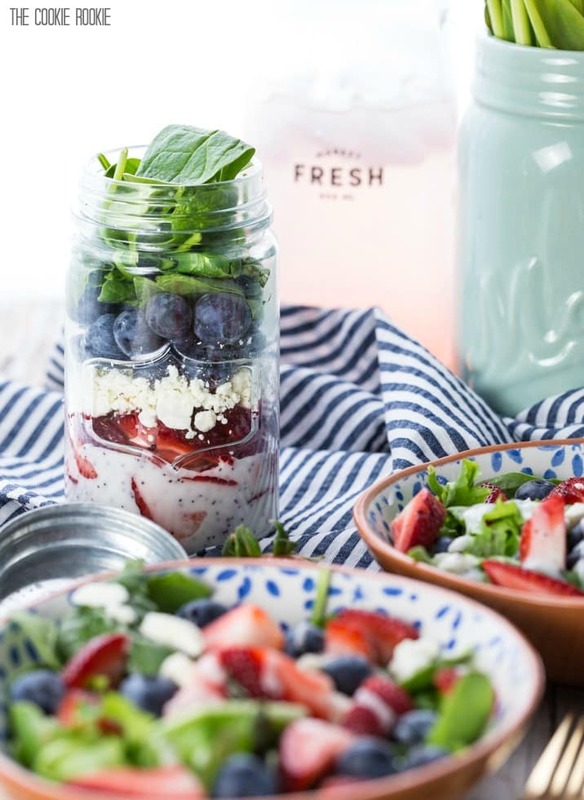 Discover recipes and ideas for mason jar salads, parfaits, drinks and more. Nothing says 4th of July like a mason jar full of your favorite beverages and desserts. But why stop there? This 4th of July take your backyard party to the next level with mason jar meals for all your guests. To assemble your mason jars, start by adding 2 tablespoons of dressing. Keeping the dressing on the bottom will keep the rest of your from getting soggy. Next, create some patriotic layers, adding in your strawberries, followed by feta cheese and blueberries. Lastly, top off the jar with the lettuce, keeping it crisp and fresh. Layer the ingredients in a 1-quart jar. Pack each layer down before adding the next layer. On a tag include the following directions for baking the cookies. Start 4th of July off right with breakfasts you can make in a mason jar. From parfaits to oven-baked breakfast delicacies there’re plenty of delicious morning meals you can make and serve right out of a mason jar. Here is an unexpected recipe to surprise 4th of July brunch guests:Layer, layer, layer! Yogurt, fruit, granola, repeat—this will give you the desired stripe effect. Taller mason jars allow for more stripes and colors. Main courses aren’t just for paper plates this 4th of July. Here’s a summer comfort food favorite your guests will love.